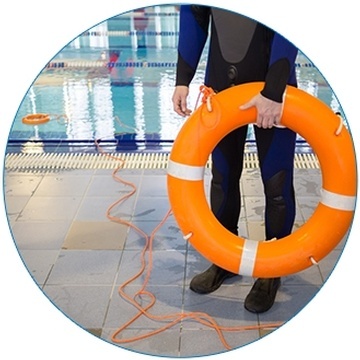 This course is designed to provide candidates with an understanding of the expectations and requirements to teach the National Lifeguard program. The class room and pool sessions allow participants to demonstrate their knowledge, skills, teaching and evaluation skills. Upon successful completion of this course, candidates will be certified NL Instructors. NL Instructors must then co-teach/examine with an experienced NL Instructor to achieve NL Examiner appointment. The number of successful co-teaches/examinations required is at the discretion of the Area Chair. A minimum of 1 co-exam is required. The NL Examiner candidate must submit their successfully completed application for NL examiner appointment to the relevant Area Chair for consideration. As Lifesaving Society National Lifeguard award guide and resources and a copy of the Guide to Ontario Public Pools Regulations are required for use in the National Lifeguard Instructor Course, the books and instructor CD have been included in the course cost and will be issued to each candidate at the first class. Pre-course Assignment: This course requires a pre-course assignment. Candidates will need to arrange for pick-up or delivery of the course materials two weeks prior to the first class to allow for completion of the assignment.